This entry was posted on December 5, 2011 by delicatrocities. 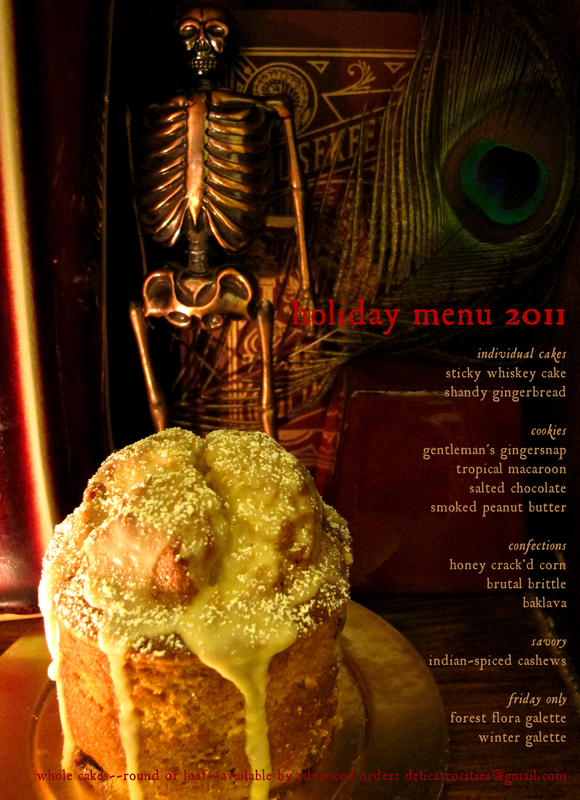 It was filed under Holiday, The Lab, Winter Wunderkammer and was tagged with art, holiday, lab, menu, san francisco. The whiskey cake is a special treat for the holidays. After serving it to my friends, they were bowled over by it- a good balance of firmness and moistness. The raisins and slight citrusy flavour matches well with the delectable whiskey glaze- and it is not too sweet. Get one for your holiday party. I’m getting two!